Members of Vital Ground’s Grizzly Council share a deep commitment to grizzly bear recovery. Their contributions to Vital Ground make a profound impact on the landscape, helping conserve thousands of acres of habitat. These extraordinary donors directly support wildlife conservation by providing the funding or land donation for crucial conservation easements and acquisitions. Grizzly Council members give philanthropic contributions of $25,000 or more, or donate land or conservation easements valued more than $100,000. Eligible philanthropic contributions include gifts of cash, securities, the charitable portion of planned gifts, and irrevocable pledges. To learn more about joining the Grizzly Council, contact Development Director Kim Davitt at 406- 549-8650 or kdavitt@vitalground.org. See a list of GRIZZLY COUNCIL MEMBERS and Vital Ground’s DONORS AND PARTNERS. 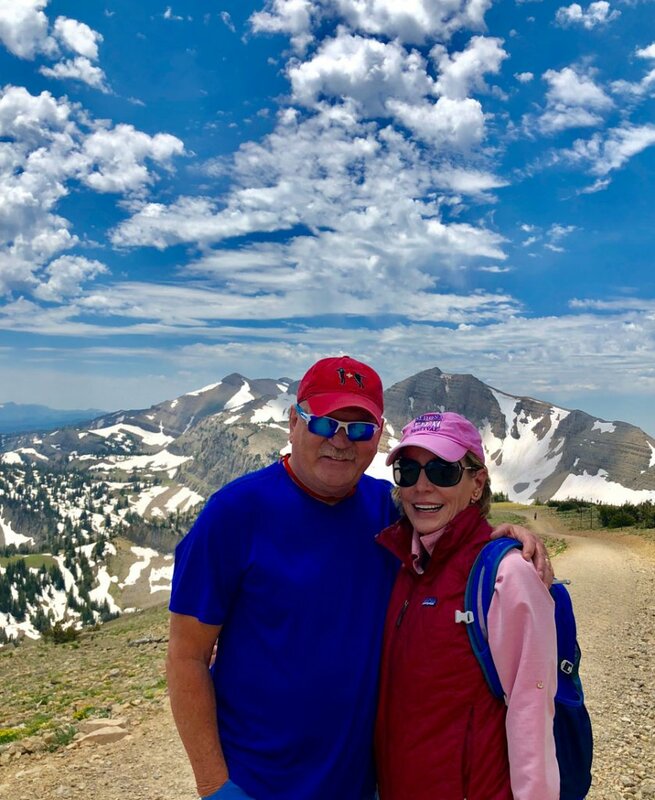 From climbing the high peaks of the Rockies to protecting the wildlife that make this region so enduringly wild, Vital Ground Trustee Maureen Mayer, right, and her husband, Thom, match their love of the outdoors with their commitment to conservation. The pair are members of Vital Ground’s Grizzly Council, an extraordinary community of donors who have made a permanent difference on the land through support of Vital Ground.